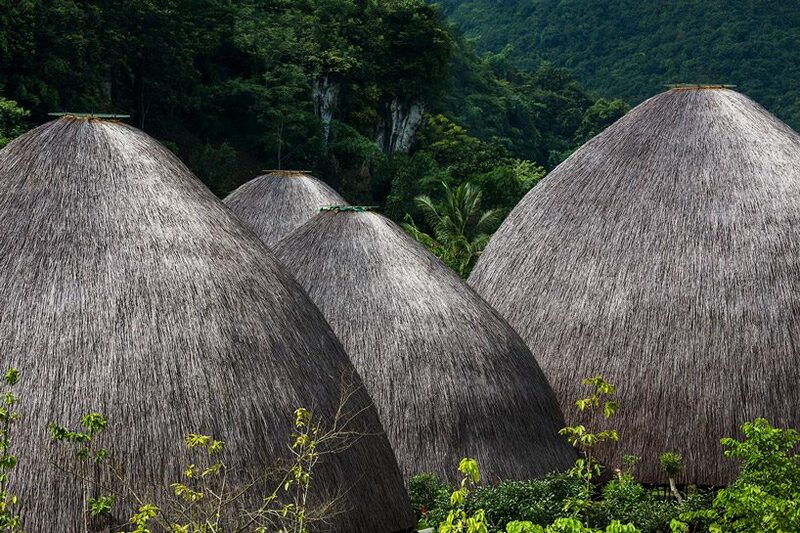 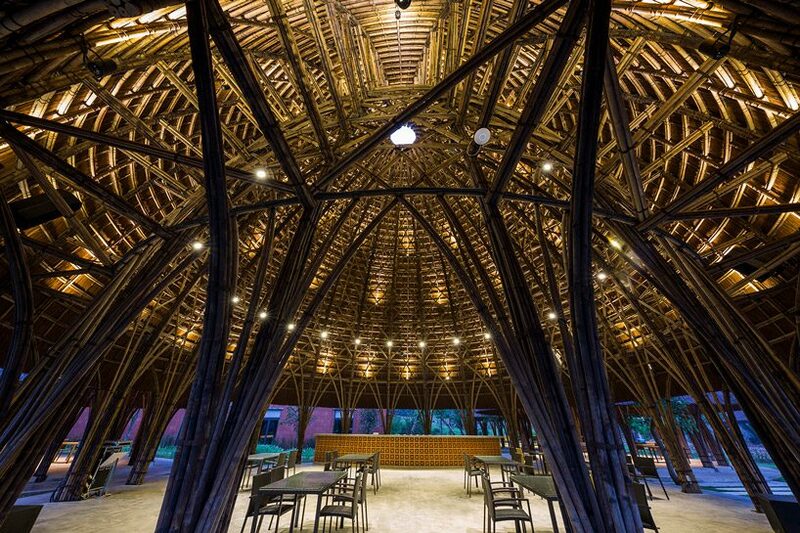 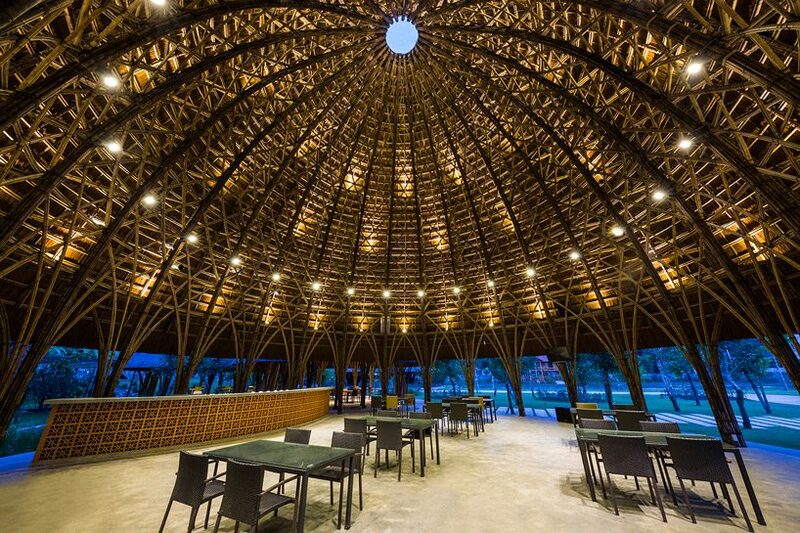 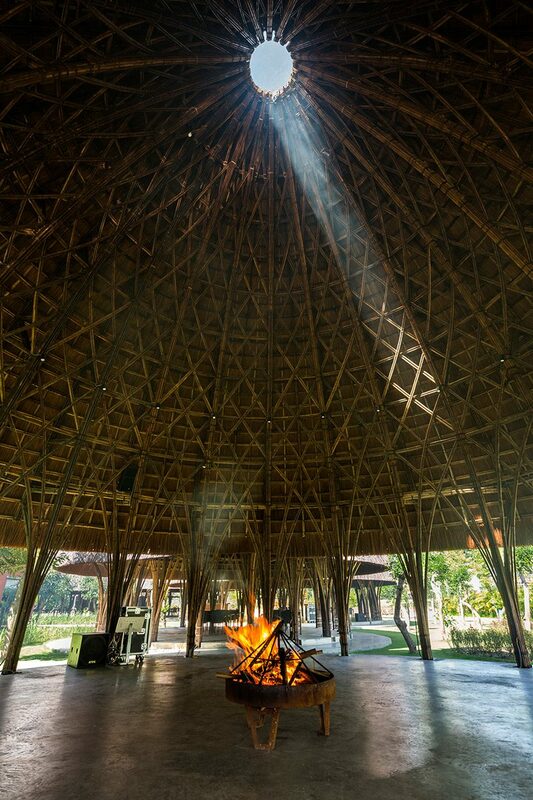 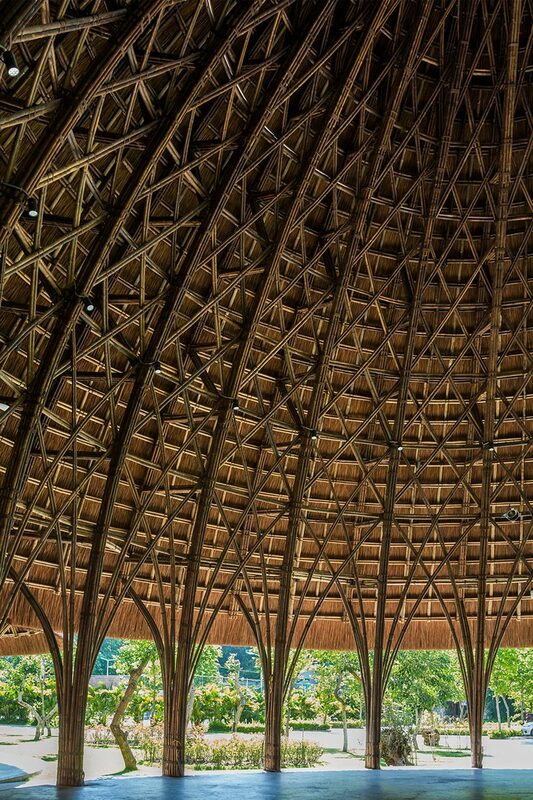 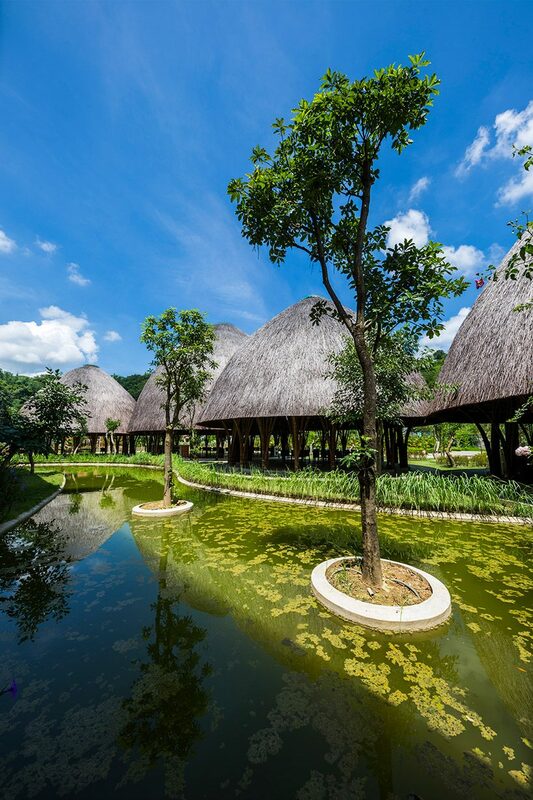 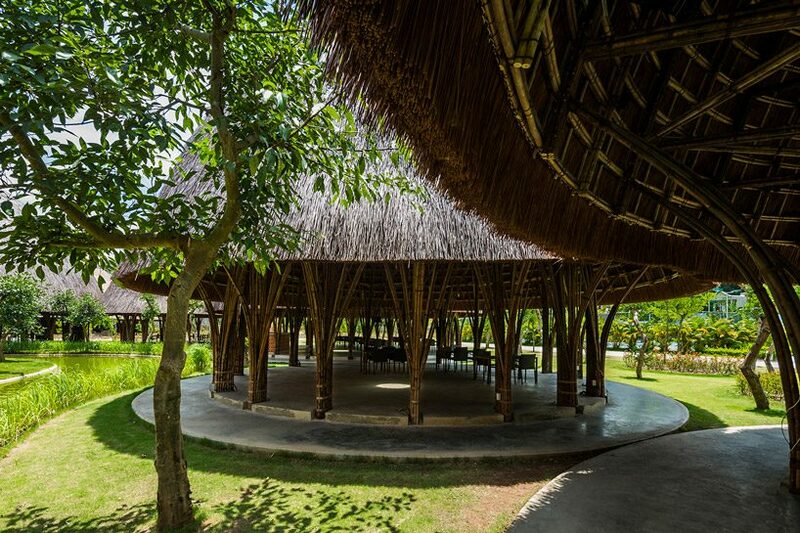 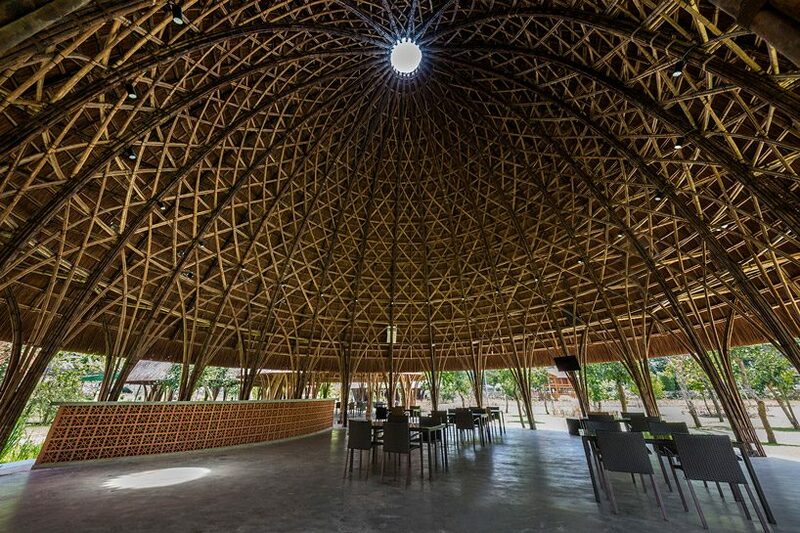 located in a highland area of vietnam, so la city is now home to VTN architects‘ bamboo-clad ceremony dome. 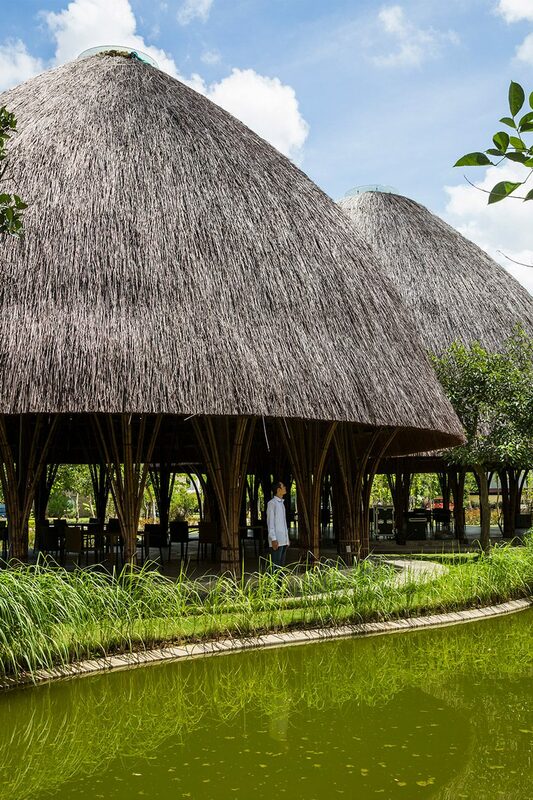 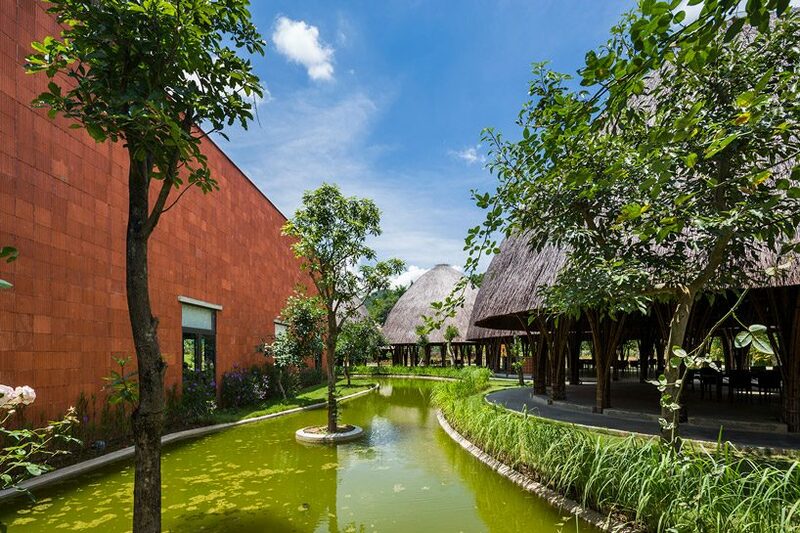 as a part of the hospital complex designed by VTN — son la restaurant and a ceremonial hall — this building is designed to create a new amenity space for adaption of increasing guests beside the ceremonial hall. 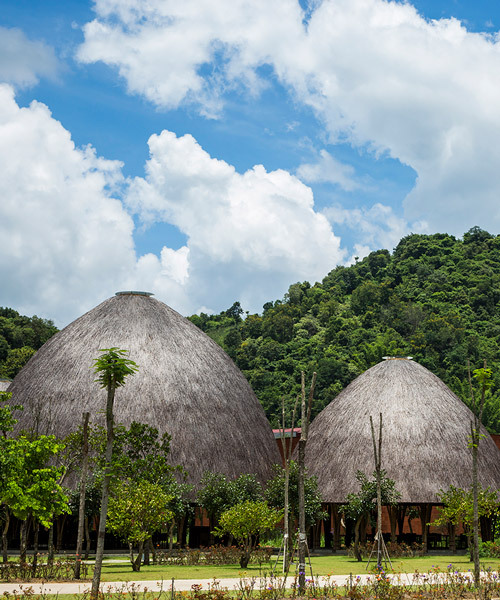 the site itself is surrounded by mountains and dense vegetation near the city center. 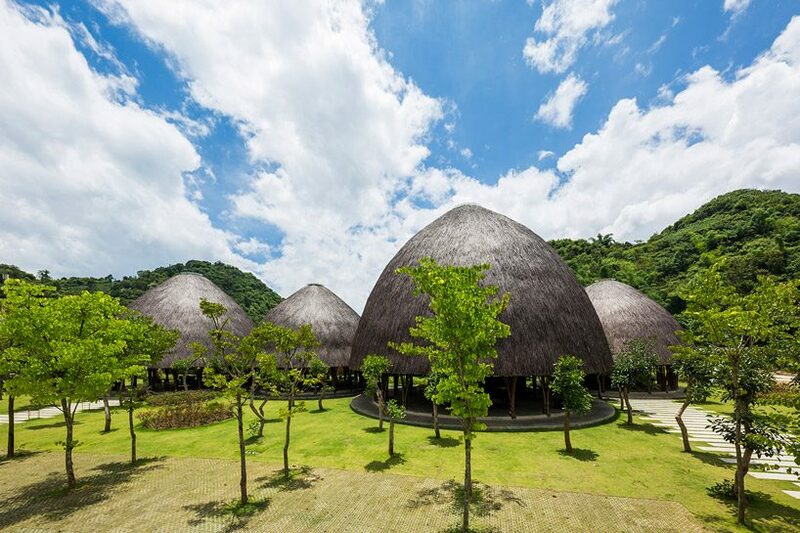 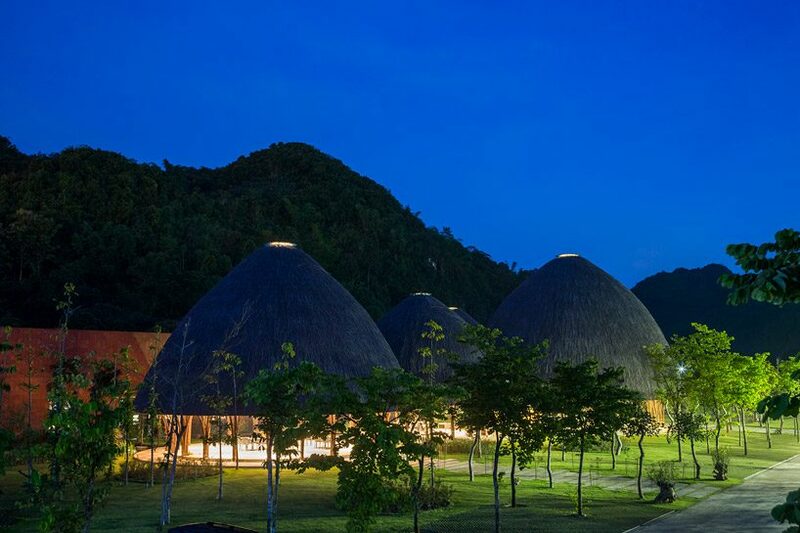 since bamboo is a familiar material for the local ethnic culture and easy to collect, VTN architects‘ project is made up of five dome structures aiming to create another landmark. 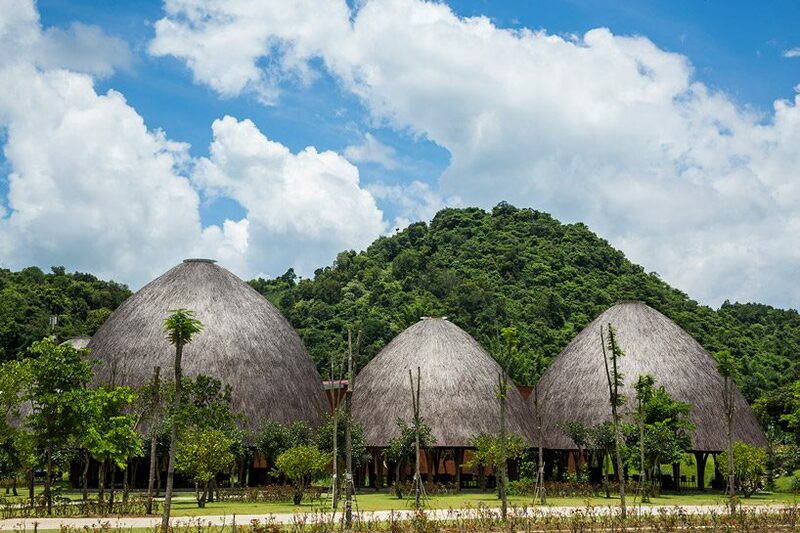 the skyline created by the varying heights of the domes takes inspiration from the surrounding mountain line, harmoniously blending in with its natural form. 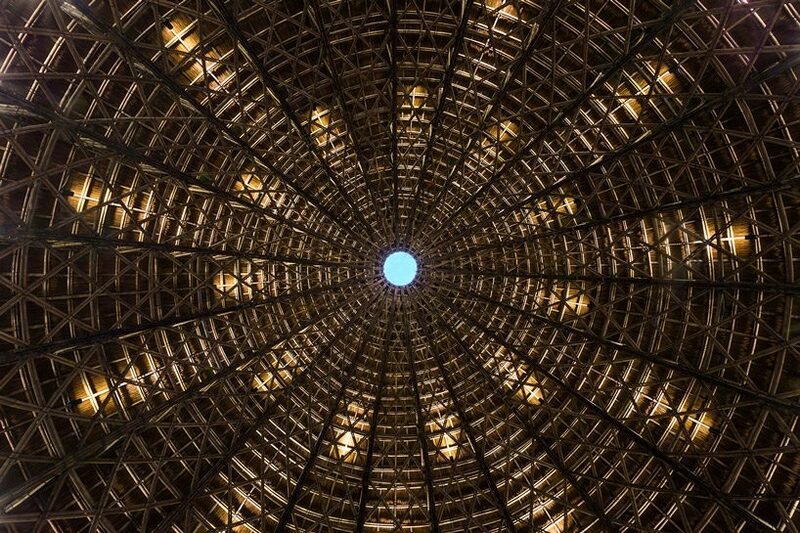 the largest dome, measuring 15.6 meters-high, is designed for a cafe space while two 12.5 meters height domes (227 sqm each) and two 10.5 meters height domes will be used as foyer and lounge for the ceremonial halls to welcome the guests. 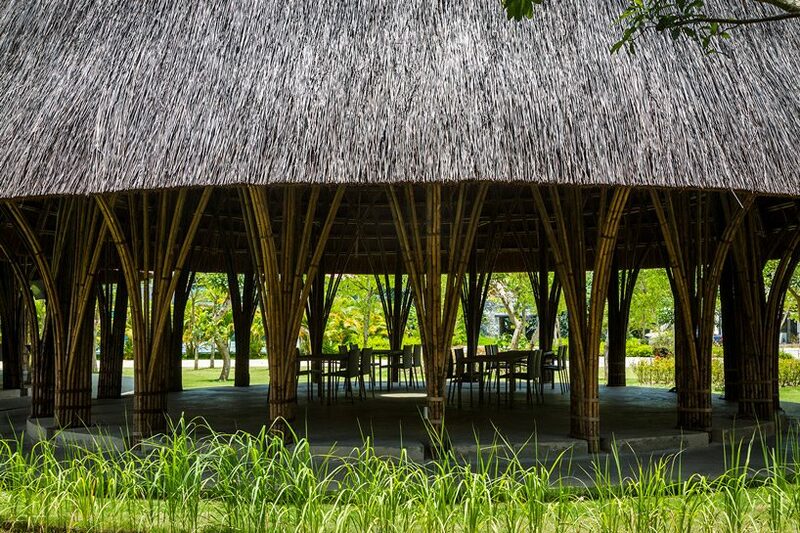 these areas are multipurpose spaces for the local society to cerebrate an outdoor event such as parties and ceremonies.